When it comes to managing your retail outlet there is an increasing need to improve productivity in order to stay competitive. Productivity improvements can come from using staff more efficiently, automating repetitive tasks as well as reducing wastage particularly on purchasing decisions.  Intelligent Retail have developed a unique advanced retail management system that will help in all these areas as well as other important activities such as marketing. Simplify and improve the efficiency of many of the day to day retail processes. Get instant reports on what is selling and identify where your profits are coming from. Connect your shop, website and eBay in a single multichannel stock system. Simplify accounts system with product level VAT tracking. Work from home or anywhere connected via the internet in real time. You can even work when offline. Our advanced retail management system uses open-source architecture for maximum stability and to keep costs low. Open source is a form of IT that is developed by communities of developers rather than single organisations. There are significant benefits to this approach which has resulted in many successful products, Linux being the most widely known. Intelligent Retail &apos;Connect&apos; products use an open source Firebird database at each till location. These local databases send data up to a central database server using an internet connection to deliver central reporting and backup making this advanced retail management system incredible value for money. We consider that having a local database at each shop is the only way to implement a robust retail system. Reliance on an external link to a database as many systems do is prone to failure and network congestion, which directly impacts speed and reliability of the till. The recent availability of high quality, low cost, open-source databases like Firebird means that this best practice approach is now within the reach of all retailers. Firebird, an open-source relational database known for sizzling transaction performance, is surging in popularity in the enterprise and heralds the growing acceptance of open-source databases, according to a recent study. Evans Data Corp.&apos;s Winter 2005 Database Development Survey looked at the database preferences of some 406 developers in mostly medium to large enterprises. Of those surveyed, 23 percent of developers picked Firebird for use in "edge" databases - in other words, those that are embedded in systems or in devices, such as a point-of-sale system in a retail outlet. Firebird also proved highly popular for enterprise applications, with 19.8 percent preferring it, beating Oracle with 19.6 percent. "Companies need to be able to put databases out there that are close to sources of this data, such as in distribution or retail environments," he said. "When you have a robust database that has liberal licensing terms [such as Firebird], you don&apos;t have to pay to replicate and install it on servers where you need it, and it&apos;s a very appealing proposition" said Joe McKendrick, an analyst for Evans. McKendrick said that the survey overall showed open-source databases as having made deep inroads into the enterprise since Evans first started surveying their use, about three years ago. At that time, about 12 percent of respondents were tinkering with open-source databases - a percentage that&apos;s up to 60 percent now. Proprietary databases are almost twice as likely to suffer security breaches as open source databases. Open source database deployments are up more than 20% in the last six months, according to Evans Data&apos;s Fall 2005 Database Development Survey. Database security is an important facet of database development, Evans Data found that proprietary database servers are almost twice as likely to have suffered a security breach in the last year compared to open source database servers. The most likely security breach for a proprietary database was a network intrusion. Whether you are based in Holyhead or Glasgow, Norfolk or Devon and Cornwall we can look after your needs effectively. For example if you are looking for an EPoS System in Devon and Cornwall then our local expert based in Torbay can come and discuss your requirements and show you how Connect can meet your specific needs. In the four months since we have the system it is already keeping costs down, it&apos;s fantastic!! I don&apos;t know how I ran my business before, without Connect! Your software is great and all of your staff!